First off: Happy New Year! Welcome to 2015. We’re happy to be here with you. Something cool slipped by us in 2014. 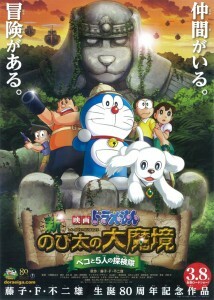 Doraemon: New Nobita’s Great Demon—Peko and the Exploration Party of Five (whew what a title!) is the latest anime feature starring Doraemon — a robotic cat from the 22nd century who travels back in time to assist a young boy named Nobita Nobi. Since he premiered in 1969, Doraemon has become one of the most popular anime and manga stars in Japanese history — so much so that the Japanese government tagged him as Japan’s “animation ambassador”. In this latest feature, “While out playing, Nobita meets a dog prince who has become separated from his people. 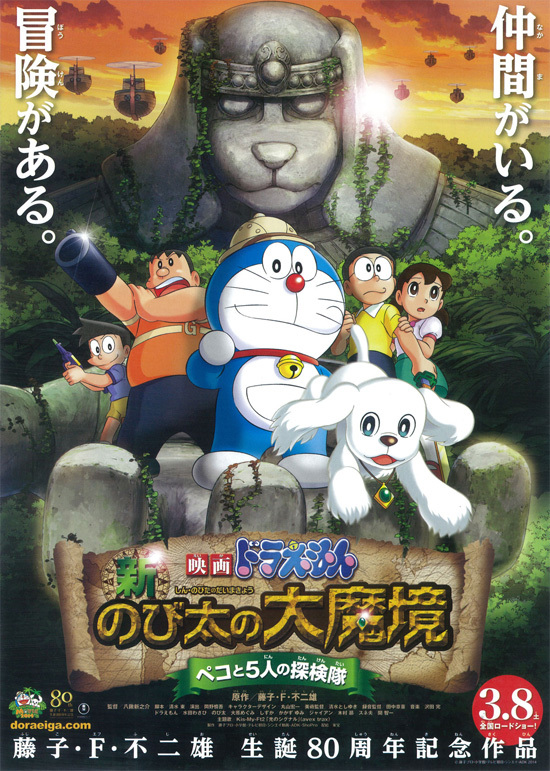 Thankfully Doraemon and his magical powers are close at hand so the gang set out on an adventure to return the prince to a mysterious land known as the Bow-Wow Dog Kingdom.” Evidently this new film is a remake of the 1982 feature Doraemon: Nobita and the Haunts of Evil. Really now. Here’s hoping that someone in the vast anime import industry might see fit to distribute this new film in North America. For now, check out the trailer over on YouTube. P.S. : Note other 2014 foreign anthropomorphic animated movies on the above list.